PT Wijaya Karya Rekayasa Konstruksi - WIKA Rekayasa Konstruksi is a rapid growing construction services company with core business competencies in the field of construction electrical and mechanical. 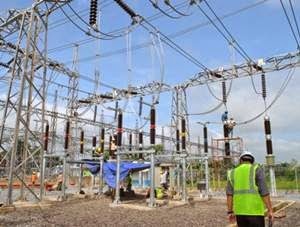 WIKA Rekayasa Konstruksi running business in the field of Engineering Procurement Construction (EPC) and Operation and Maintenance (OM) in the field of energy and industrial plant. Its business include installation of mechanical, electrical, industrial and power plant projects. PT Wijaya Karya Rekayasa Konstruksi is a member of state-owned constructions giant PT Wijaya Karya (Persero) Tbk (WIKA Group). At present, WIKA Rekon is 90.04% owned by PT Wijaya Karya (Persero) Tbk and 9.96% by WIKA Cooperative employees. WIKA Rekon was established in 1984 and initially registered as PT Catur Insan Pertiwi. Later in 2008, PT Catur Insan Pertiwi renamed into PT Wijaya Karya Insan Pertiwi. The name of PT Wijaya Karya Rekayasa Konstruksi was officially established in 2013. In term of financial position, WIKA Rekayasa Konstruksi succeeded in posting excellent financial performance in 2015. According to PT Wijaya Karya (Persero) Tbk Annual Report 2015 as cited by JobsCDC.com, WIKA Rekayasa Konstruksi managed to record a total asset of Rp 205.01 billion at the end of 2015 or equal to an increase of around 18.29% compared to the previous year (2014). WIKA Rekayasa Konstruksi's total assets in 2014 amounted to Rp 173.30 billion. Have a good understanding of basic plant utilities system. Have a good analytical in the field of maintenance. Able to maintain good relations and motivate. Excellent work attitude, hard work, honest, discipline, creative, critic and have a serving attitude. Minimum 5 years of experience as Assistant Manager. Have a good analytical in the field of operational. JobsCDC.com now available on android device. Download now on Google Play here. Please be aware of recruitment fraud. The entire stage of this selection process is free of charge. PT Wijaya Karya Rekayasa Konstruksi - Operation Maintenance SPV WIKA Group January 2018 will never ask for fees or upfront payments for any purposes during the recruitment process such as transportation and accommodation.